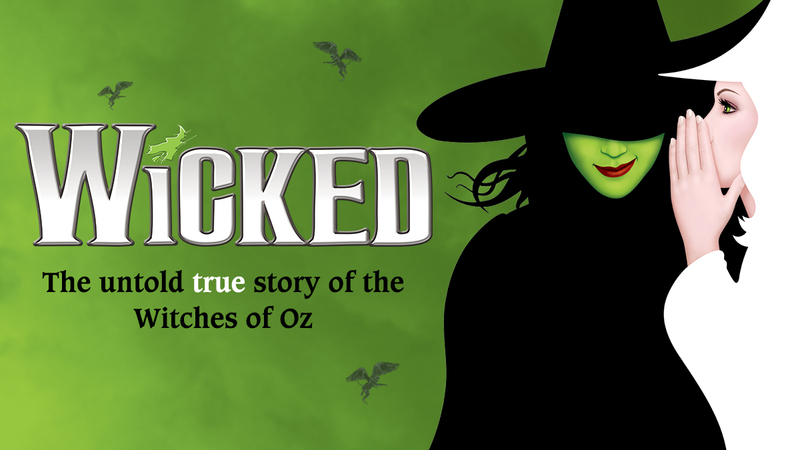 Purchase Wicked tickets online, at the theatre box office, or by phone at 877-250-2929. 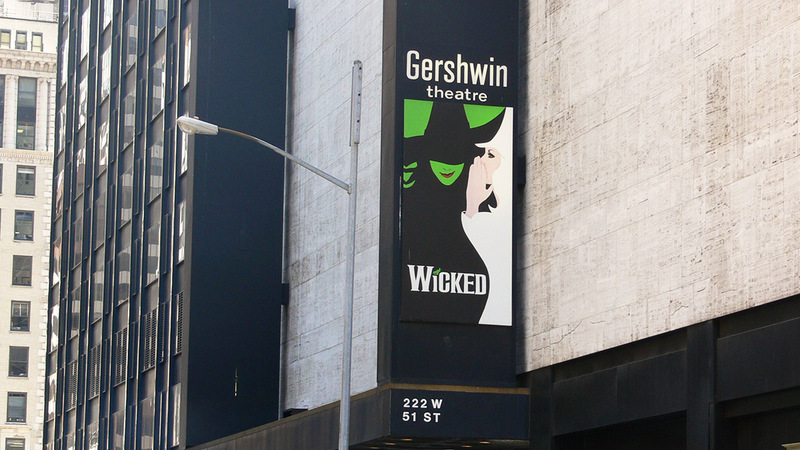 Home of the Broadway smash-hit musical Wicked, the Gershwin Theatre was named in honor of one of America’s greatest composers, George Gershwin, and his brother, lyricist Ira Gershwin. The theatre’s rotunda was designed to showcase the names and photographs of Broadway’s own Theater Hall of Fame. The Gershwin opened in 1972 with 1,900 seats, and is one of the Nederlander Organization‘s nine Broadway theatres. 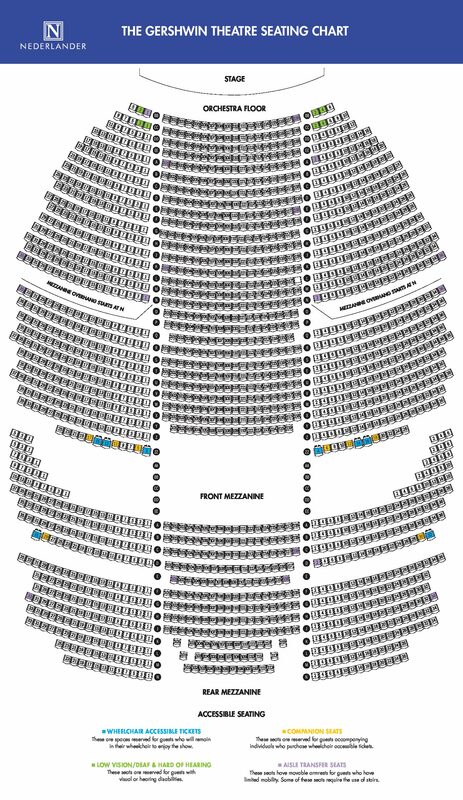 The Gershwin Theatre does not provide ticket refunds or exchanges. Smoking (including e-cigarettes) is prohibited in the Gershwin Theatre. There are two bars located on the theatre’s second floor and two bars located on the fourth floor where alcoholic and nonalcoholic beverages as well as snacks can be purchased. Bottled water and beverages with secure tops are permitted in the auditorium. The bars begin serving patrons 45 minutes prior to the start of the performance and at intermission. This theatre opened as the Uris on November 28, 1972, becoming the first new legitimate theatre built on Broadway since 1928. A 30- year lease was taken on it by Gerald Oestreicher, and the opening production was a space musical called Via Galactica. For more than four decades, this house, rechristened the Gershwin on June 5, 1983, has showcased spectacular musicals, concerts, ballets, and plays. The current tenant, Wicked, has played here since October 2003. Past tenants: Oklahoma!, Riverdance on Broadway, Tango Argentino, Peter Pan, On the Town, 1776, Candide, Show Boat, and Tommy Tune Tonite!. The colorful Moscow Circus cavorted here in 1991. In 1990, Fiddler on the Roof, starring Topol as Tevye, won the Tony for Best Revival. A lavishly mounted stage adaptation of Meet Me in St. Louis arrived in 1990 with some additional songs written by Hugh Martin and Ralph Blane, who had created the famed MGM movie score. In 1987, Starlight Express, with music by Andrew Lloyd Webber and lyrics by Richard Stilgoe, rolled in, with skilled skaters zooming all over the theatre on an ingenious set by John Napier. In 1985, Singin’ in the Rain was adapted for the stage by Comden and Green from their original MGM screenplay, with vintage songs by Arthur Freed and Nacio Herb Brown—and real rain on stage. The Royal Shakespeare Company, headed by Derek Jacobi and Sinéad Cusack, distinguished themselves in 1984 with Cyrano de Bergerac and Much Ado About Nothing. The classic Show Boat docked here in 1983, with Donald O’Connor at the helm as Cap’n Andy. The long-running hit Annie moved here in 1982, and in 1981 the rollicking New York Shakespeare Festival production of The Pirates of Penzance won Tonys for Kevin Kline, director Wilford Leach, and as Best Revival. That same year, Rex Harrison, Milo O’Shea, Nancy Ringham, and Cathleen Nesbitt returned in a sumptuous revival of My Fair Lady. The 1970s brought the sensational Sweeney Todd by Stephen Sondheim and Hugh Wheeler. Directed by Harold Prince and starring Angela Lansbury and Len Cariou, the musical won eight Tonys in 1979. In 1977, Yul Brynner and Constance Towers triumphed in a revival of Rodgers and Hammerstein’s The King and I, and the Houston Grand Opera brought its thrilling revival of Gershwin’s Porgy and Bess in 1976. Another Houston Grand Opera production, Scott Joplin’s Treemonisha, performed here for the first time and proved the novelty of the season. In 1973, there was a stage version of the musical Gigi, starring Alfred Drake, Daniel Massey, Agnes Moorehead, and Karin Wolfe; a revival of Romberg’s The Desert Song; and Michele Lee and Ken Howard starred in Seesaw, a musical version of the play Two for the Seesaw that earned Tommy Tune a Tony. 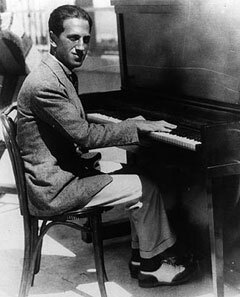 Among superstars who made concert appearances here were Bing Crosby, Rudolf Nureyev, Margot Fonteyn, and Frank Sinatra. The Gershwin also houses the Theatre Hall of Fame.